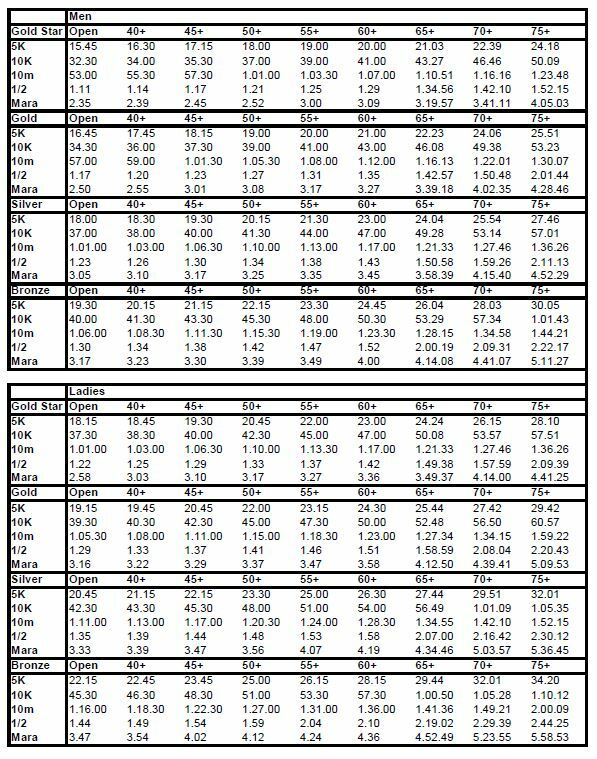 The Club’s award scheme has Gold, Silver or Bronze, which are awarded to runners who achieve times in the schedule below in their age category in any 3 of the 5 standard distance categories. There is also an additional “Gold Star” award for those achieving the very highest standard. The times are based on standards set by the RRC which are nationally recognised. Race results confirming times achieved should be sent to the Club Statistician, Chris Clark.